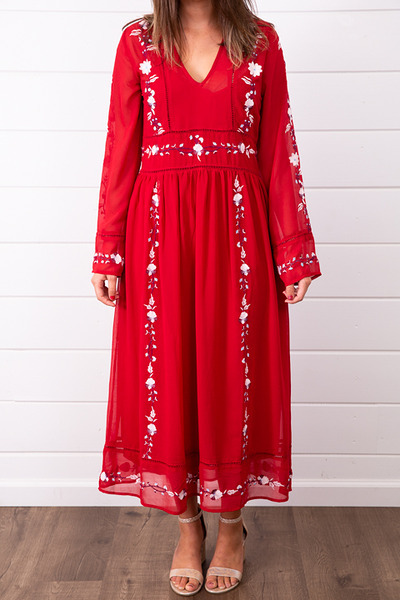 The Amelia Dress by Willow & Clay is a beautiful scarlet red midi dress perfect for the fall. Featuring some white and sky blue floral embroidery throughout the dress with a flattering v-neckline. 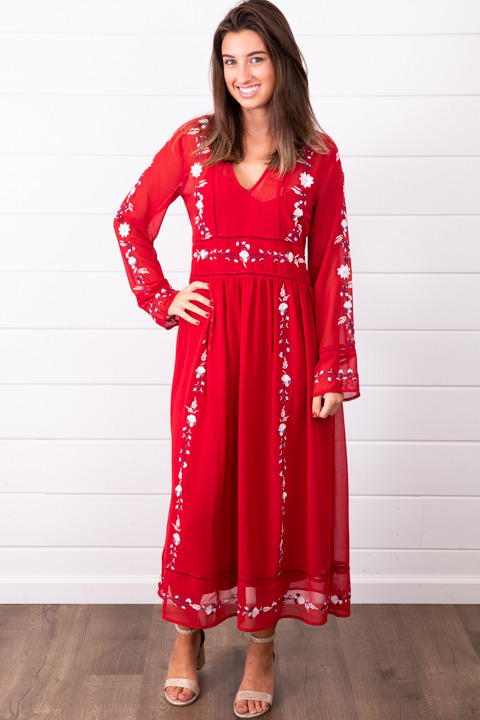 Pair this beauty with some wedges and a brown belt for date night. 100% polyester Hand wash cold inside out, lay flat to dry. Be the first to review this product! On your receipt or with your delivery e-mail you will find a personalized review code. Enter your review code here.